Staying with the summer theme. Who knew there is a National Pink Flamingo Day? Pink Flamingo Day was declared in 2007 by Dean Mazzaralla, the mayor of Leominster, MA to honor the creator of the plastic lawn flamingo: Don Featherstone. Pink Flamingo Day is on June 23rd. There is a variety of ways to celebrate such as, placing the pink plastic lawn flamingos all over your yard or even adopt a flamingo from the zoo. 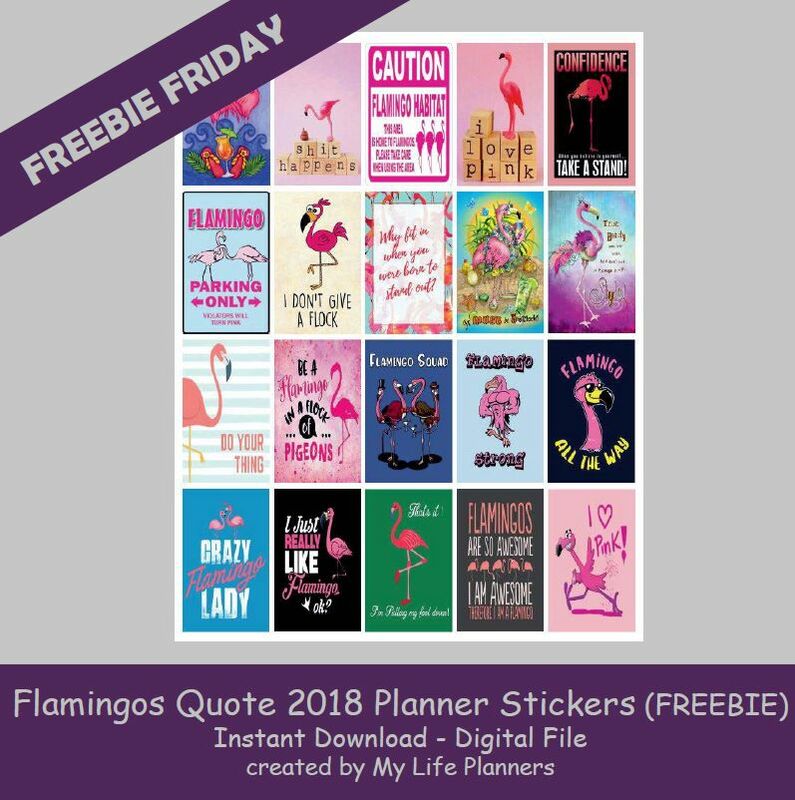 To make life easier, let’s celebrate in your planners with this week’s Freebie Friday of Flamingos. Time to join the flock and get your pink on. In case you missed Flamingos Quotes 2017 Planner Stickers you can revisit and download them from here.